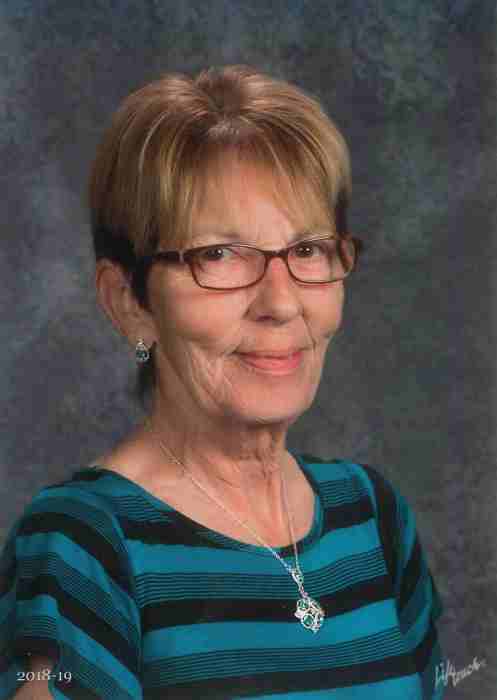 Obituary for Diane Johnson | Mission View Funeral Chapel Ltd.
On Sunday, March 17, 2019 Diane Johnson of Fort McMurray, AB passed away at the age of 66 years. Diane is survived by her loving husband of 47 years Ron Johnson, children Trevor (Corry Micks) Johnson, Darcy (Pam Major) Johnson, grandchildren Tandice Micks, Aeriel Micks, Dylan Johnson, Payton Johnson, siblings Yvette (Pat) Dallaire, Denis (Diane Plamondon) Ulliac, Rosaire (Joanne) Ulliac, Colette (Lyle) Shemonichek, father Fernand Ulliac, as well as numerous nieces, nephews, cousins and friends. Diane is predeceased by her mother Louise Ulliac. Funeral Service on Saturday, March 23, 2019 at 12:00 noon at St. Isidore Catholic Church in Plamondon, AB with Father Michael Ngo officiating. Pallbearers were Marc Dallaire, Shyanne Gauthier, Richard Michaud, Karly Shemonichek, Jamie Ulliac, Travis Ulliac. Donations to the Haying in the 30's (Cancer Support) Box 35, Mallaig AB T0A 2K0 or online https://www.hayinginthe30s.com/tbd-single-person-donation would be appreciated.